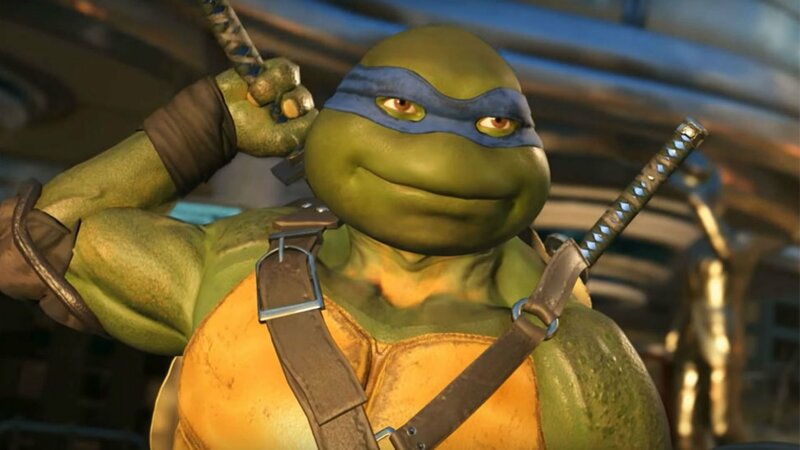 The Teenage Mutant Ninja Turtles were definitely the DLC addition everyone was waiting for in Injustice 2 and now they're available to purchase for everyone. They were released for Ultimate Edition owners a week or so before, and luckily now we know how they work. Each turtle is locked into a specific key gear (equipping Leonardo's swords or Raphael's sais, for example). but each of the key gear is available from the start. Each one also has a core set of special moves, but have little nuances to make them feel like different characters. Leonardo's trait allows you to call in the other turtles for a combo starter, Mikey rides his skateboard, and so on. The Teenage Mutant Ninja Turtles run for $9.99, and are available as part of Fighter Pack 3.